Recently, representatives of civil society organisations (CSOs) from West African nations such as Nigeria, Ghana, Liberia, Sierra Leone, The Gambia, Togo, Mali, Cote D’Ivoire, Benin, Niger, Burkina Faso, Guinea and Mauritania converged on Lome, Togo for the West Africa Regional civil society capacity building workshop on Climate Change and Post 2015 MDGs Sustainable Development Agenda organised by the Pan African Climate Justice Alliance (PACJA), in collaboration with the Fellowship of Christian Councils and Churches in West Africa (FECCIWA). The forum had “Climate Change and Post 2015 MDGs Sustainable Development Agenda” as its theme. Participants at the two-day event observed in “Lome Convention” (a communique released at the close of the gathering) that the impacts of climate change have continued to exert considerable economic, social, political and cultural pressures on households, working families, the poor, rural and urban dwellers. The pressures are said to have a combined effect of reducing opportunities and potentials for attaining progress and prosperity in our communities. They likewise noted that a wholly transformative development framework is required to fulfil the international commitments of the past and present which, they added, must be based on the principles of human rights, equity, social, economic, gender, climate and environmental justice, participation, accountability and non-discrimination. While stressing that poverty and inequality are on the increase as a result of the people’s inability to effectively tackle the problems of climate change, they emphasised that certain developed countries are still not fully committed to the Kyoto Protocol. They insisted that climate change is a human rights issue that cuts across all sectors and must be tackled through a holistic developmental approach. They described the continent’s technical, technological and financial capacities as being too weak to address climate change adaptation issues. They frowned at the dominance of the private sector across development and its disregard for the principles of environmental sustainability and enforceable international accountability in line with human rights. They also expressed concern over developed countries’ lack of commitment to reducing greenhouse gas (GHG) emissions, even as higher temperatures are being experienced and the impacts of climate change are being manifested in repeated cases of flooding, aggressive deforestation, desert encroachment, sand dune surge, drought and depletion of arable land. The need for Africa to begin to focus on generating its own funds in order to finance climate change programmes and activities was underlined by the gathering, which laid emphasis on the importance of continuous training and information sharing so as to deepen the capacities, skills, knowledge and information of stakeholders around climate change issues. They affirmed the authority of the civil society and communities as the expression of the people’s sovereignity. Consequently, they declared, climate justice and sustainable management of the planet’s resources must be at the centre of the Post 2015 development framework, adding that developed countries must continue to be held to commit and deliver on providing financial and technological resources to address mitigation and adaptation challenges in line with the principle of common but differentiated responsibilities. They declared that the Beyond 2015 Sustainable Development Agenda should be underpinned by the principle of polluter pays, common but differentiated responsibilities with respective capabilities, equity and climate justice. All countries, it was agreed, should make a contribution towards the achievement of a more sustainable world with actions based on levels of corruption, low carbon development pathways, abilities to adapt to the effect of climate change, as well as to reduce risks and respond to disasters. Further, it was resolved that national non-state actors’ platforms on climate change should initiate and implement national action plans that would lead to effective participation and outcomes around Conference of the Parties – COP 19. 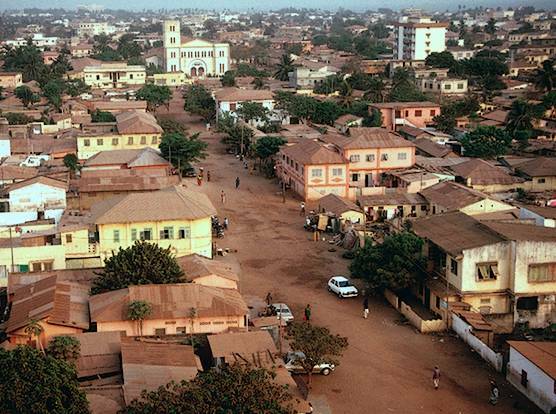 West African CSOs were asked to engage their governments to find alternatives to financing climate change such as the adoption of the Financial Transaction Tax (FTT) and taxes on luxury imported goods and services. African governments, on their part, should increase their funding for climate change projects and activities, while CSOs should increase their efforts to monitor and track climate change budget provisions and performance. Additionally, the activists will monitor and participate effectively in the management and implementation of the Green Climate Fund (GCF), while researching into and exploring ways to achieve practicable sources of cheap and clean renewable energies. The participants want alternative and sustainable agricultural methods made available to African farmers in order to address the crisis of food insecurity. They urged rural and urban folks to take advantage of the strengths and opportunities in new and emerging social media in order to address climate change challenges affecting the people. Decision makers were asked to include global governance in the post 2015 development framework by institutionalising democratic participation and accountability to citizens at all levels. The need to give top priority to the promotion of women’s rights, gender equality and the empowerment of youth and vulnerable groups was underscored.